By day, I'm a full-time electrical engineer and by night (after the kids are off to bed), I write the stories I love. Emotional. Drama-filled, but with humor. Epic love stories. Powerful people who must deal with all that comes along with power. If you've read any of my books, I hope you can understand how much I enjoy these characters. As always, I'm thankful for the support of every reader! Without giving spoilers, readers might see some familiar faces on the other side of this journey. This story is for those who have read all books in the Leftover Girl series and The Agency series and asked for more. 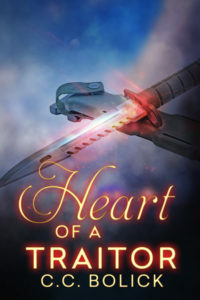 When Heart of a Traitor is ready, everyone on my subscriber list will receive an exclusive copy. This book won't be available for sale. If you didn't see the sign-up form and want to be on my list to receive your copy when ready, email me at ccbolickbooks@gmail(dot)com. Just my way of saying thanks for hanging with me through all of these stories. Seventeen-year-old Rena Mason counts the days until she can leave for college. Every night her father drinks himself to sleep, leaving her to care for her younger brother. When her father is kidnapped by terrorists, her dreams of freedom become a nightmare. Stunned that her father has a history with these terrorists, Rena knows she must run or be their next victim. She learns the tough guy at school has a reason to look after her – he’s working for a government agency with the same goal as the terrorists: find a woman who disappeared eighteen years ago. Time is running out since only this woman’s special gift can save the world from a looming nuclear attack. After learning she could be a carrier of this power, Rena scrambles for the truth about her family. She can’t trust anyone, especially not the stone-cold agent she’s falling for. He’s on a personal mission that will force Rena to rethink everything she’s been raised to believe. 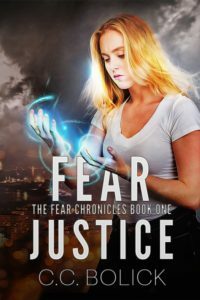 Can they save the world before Rena’s feelings trap her in an agent’s fight for justice? A battle is brewing between the agency and the woman determined to protect people with powers at all cost. 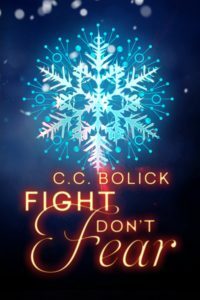 As an agent, Angel Lockhart knows facing her worst fears comes with the job. To save Earth from a disaster, she must find a way to help her best friend control a power that could freeze the planet. Before saving the planet, she also must deal with the betrayal that almost killed the man she loves. After being forced into a last-minute visit to Earth, Bailey Sanders knows it's best to stay off the radar. She never imagined two girls she grew up with could decide Earth's future. Stuck on a road trip without her powers, Bailey has bigger problems than knocking on the agency's front door. Both are about to learn it will take more than powers to save the planet. Note: This book has a crossover story that will bridge The Agency Series and the Leftover Girl Series. It brings back some characters from the Leftover Girl Series and takes place during the time-frame of Fate of War. Since most readers find my books through the power of word-of-mouth, please help me by spreading the word. If you'll take a minute to leave a review for any of my books on Amazon or Goodreads, I'll greatly appreciate it! 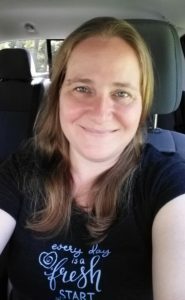 Click to Visit Me on Goodreads!